The Royal Yugoslav Army (VKJ) during World War Two is a bit of a niche interest, even for me! An army that collapsed in just eleven days in April 1941 is also unlikely to be any wargamers idea of a winning force on the tabletop. Other than a border skirmish or two in the 1920s, the army didn't fire a shot in anger during the inter-war period. 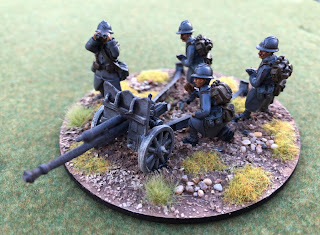 If I am not selling the concept of my latest 28mm Bolt Acton army, I should say that there were times in the 1930s when war was entirely possible. In a feature article at Balkan Military History I describe two of these 'What ifs". In August 1939, Hitler proposed to Mussolini that Italy should invade Yugoslavia. Mussolini was delighted at the prospect but was advised that the Italian armed forces were in no condition for such an adventure. Mussolini frequently ignored his generals advice, so here is an opportunity to use those Italian armies in a new scenario. After the invasion of Poland and the start of WW2, the British and French discussed the possibility of landing a military force at Salonika. This would be something of a re-run of the WW1 campaign. The French General Weygand led the planning, signing himself as ‘CinC of the East Mediterranean Theatre of Operations’. The Yugoslav government actively participated in the planning, recognising that if the Italians siezed Salonika, Yugoslavia could not be supported by the allies. This 'What if' potentially includes early war French, British and Greek troops. My infantry will come mostly from the Warlord French range in 28mm, supplemented by Crusader Miniatures. This is the first squad off the painting bench. 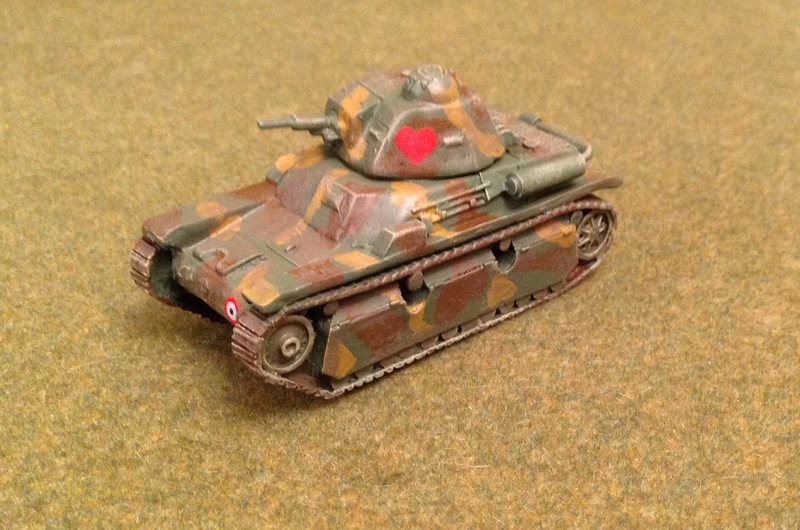 FT17 and R35 tanks are again available from French ranges. This is the Warlord R35 from my French army that will get a new role. Artillery is more challenging as the obscure Czech pieces are not readily available. AGN Miniatures make the German adaptation of the 47mm ATG, the Pak 38(t), which although the gun shield is a bit large for the Yugoslav model, is pretty close. Much more to do as I stare at a pile of boxes, but a start has been made! There is no handy Osprey to consult on uniform details. The best source I have is Andrew Mollo’s Armed Forces of WW2, which has some good colour plates. Other background reading is in the article. If you want to see and play with this army, it will be the GDWS participation game at the Falkirk Carronade show in May 2019 - 'Breakout from Zara'. Fantastic choice of subject! It's not every day you see a Royal Yugoslav force on the tabletop.